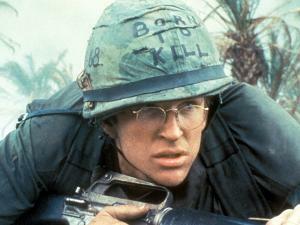 Matthew Modine has been making movies for thirty years. 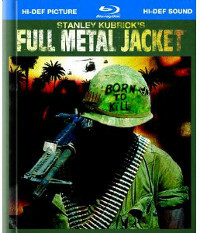 After making his big screen debut in a small role in John Sayles’ Baby It’s You, he quickly became one of the most in-demand young actors of his generation, with major roles in Robert Altman’s Streamers, Alan Parker’s Birdie, and Gillian Armstrong’s Mrs. Soffel, before landing the leading role in Stanley Kubrick’s Full Metal Jacket. The film’s 25th Anniversary is marked by a special edition Blu-ray release, with the new documentary Stanley Kubrick’s Boxes and contributions from Modine himself. Photographs that Modine took on the set of the film are included in the disc’s booklet and he wrote an essay for the edition. I spoke with Modine by phone in June, catching him between a visit with a programmer developing an iPad app based on his book “Full Metal Jacket Diary” (“The reason I’m excited about it is that he just showed it to me this morning”) and a meeting with John Scully (“the man who fired Steve Jobs from Apple”), who he’s portraying in the upcoming Steve Jobs film. Since then he’s been seen by millions of viewers in “The Dark Knight Rises” and premiered a new film short film at the Palm Springs International Short Film Festival, and he’s currently developing his second feature as a director. We talked about Kubrick, Altman, making movies, and what he’s been watching. What are you watching on home video? Absolutely. I go to see as many movies as I can. That’s my profession. I go to see as much theater as I can – that’s one of the pleasures of living in New York, we have the greatest theater in the United States – and watch as many movies as I can. You had taken substantial roles in films before Full Metal Jacket, but taking the lead role in a Kubrick film must have had an effect on your career. It’s flattering when any director asks you to be the star of their film and there’s a tremendous responsibility that comes with that invitation. But yes, absolutely, to be invited to work with someone who had previously worked with Jack Nicholson on The Shining” which I really enjoyed, who worked with George C. Scott and Peter Sellers, two actors I think are just brilliant, James Mason, Kirk Douglas twice, Malcolm McDowell…. To work with Stanley and know his history as a filmmaker, it was a tremendous invitation and a wonderful opportunity. Not just as an actor and an artist, but as a man, having the opportunity to work with somebody who is going to teach me about filmmaking, who is going to teach me about writing, who is going to teach me about being a human being. This extraordinary experience, this brief moment that we have that we share on this planet, I think of all the people that I’ve met and worked with in my life, probably Stanley understood the brevity of time better than most. How did you get the part and what was the audition process like?